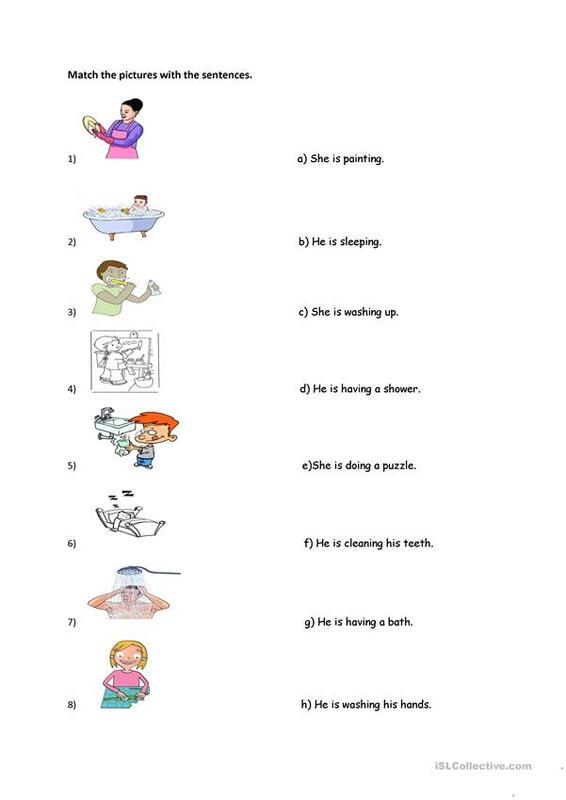 It is worksheet that will make your students learn the present continuous tense and some basic verbs within it. 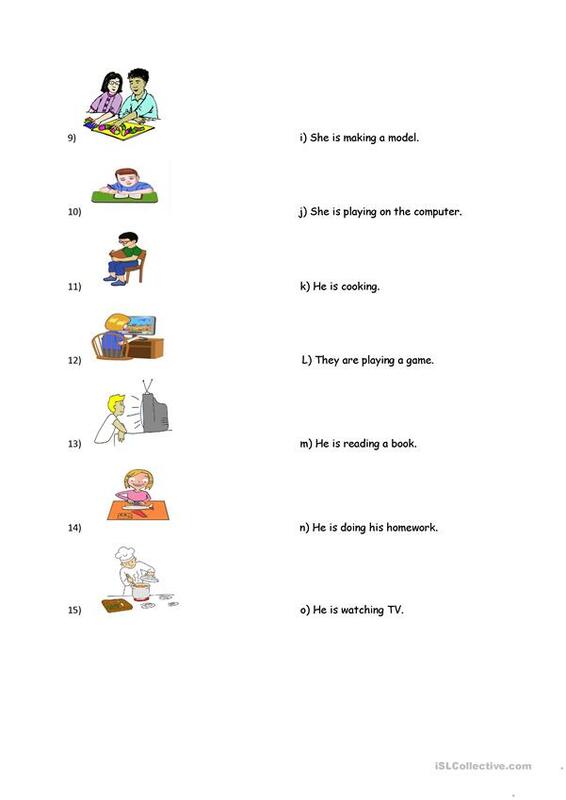 The present downloadable worksheet is meant for elementary school students and kindergartners and nursery school students at Beginner (pre-A1), Elementary (A1) and Pre-intermediate (A2) level. It is great for revising Present continuous (progressive) tense in English. o2l3m is from/lives in Turkey and has been a member of iSLCollective since 2012-07-22 23:51:01. o2l3m last logged in on 2018-09-18 21:04:31, and has shared 17 resources on iSLCollective so far.